Hi everyone, hope you guys have been enjoying my daily July posts =) Today I have a gorgeous nail polish to share with you. As many of you know, I love Essie polishes – some are a little more difficult to deal with than others but for the most part I love every single one of them! 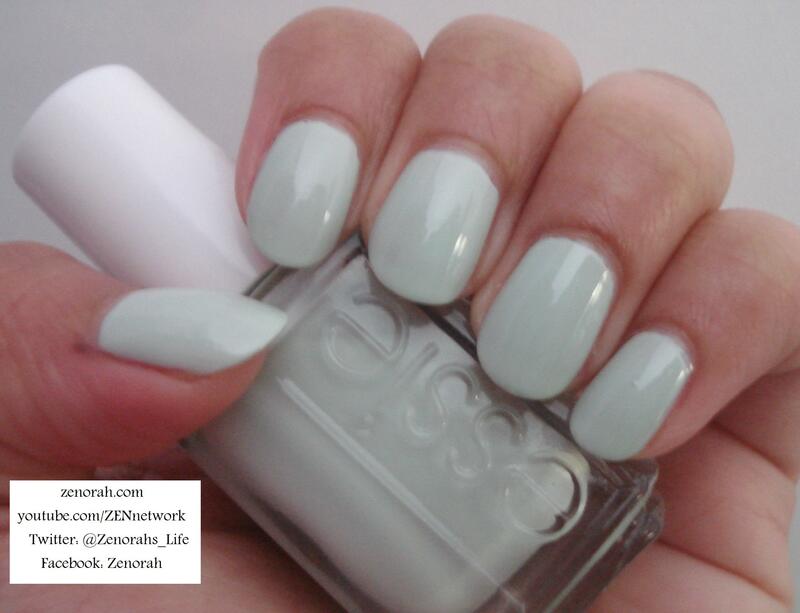 Essie ‘Absolutely Shore’ – is pale baby sprout mint green creme polish. It’s more of a creme + jelly forumla because while it’s a pastel shade it does not have a milky formula like Essie Fiji for example. This was originally released in a past Summer collection but it may be permanent now I’m not quite sure – the only think I am positive about is that it’s GORGEOUS! While it took three coats to be opaque it lasted about 6 days without a single chip! This could be in relation to the Essie base & top coat I have been using but lately I have been able to wear my manicures at least one full week without chips and minimal tip wear. What I adore about this polish is that you can wear it with anything & it compliments an outfit beautifully, as well if you love white nail polish but it’s too stark for you – this is the perfect alternative! I really hope this polish makes it into the permanent collection because it would look gorgeous on every skin tone! I highly recommend this one and if you already own it you should bust this baby out and wear it again! LOVE it as a pedicure as well! Do you own Essie ‘Absolutely Shore’? What are your thoughts on this nail polish? Oh this would look GORGEOUS on you!!! That looks gorgeous on you!